Whilst writing Trivium 21c I came across the work of Richard Sennett, I would recommend his writing to anyone interested in arts, crafts, community, organisations and creativity. In The Craftsman he has some interesting things to say re: mastery, expertise, guilds and professional organisations. I try and get the gist of some of his ideas here and look at what implications they may have for our current debates in teaching. Sennet talks about there being two sorts of expert, the sociable and the anti-sociable. One can quibble about silly dichotomies but this interested me. He posits the idea of the sociable expert as the master craftsman who was, from the middle ages onwards, central to the medieval guilds and their civic and religious rituals; participation and experience were key. However, as time went by, the ‘foraging curiosity’ of the amateur but experienced Master Craftsman was seen as being of lesser value than specialised knowledge. More recently, professional associations, that had started with similar community values as the guilds, became more in thrall to the knowledge of experts. In the twentieth century professional associations weakened over time as market forces and centralised bureaucracies took their toll. 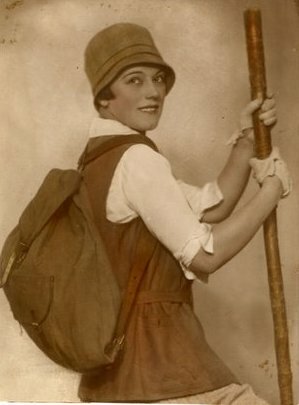 The professional, marked out as more than a mere employee, found herself having to react mainly to the whims of the law and legislation, dictating the very content of her expertise and thereby destroying ‘sociable expertise’ and replacing it with ‘anti-sociable expertise: the surrender of the mastery of the craftsman to the superior specialised knowledge dictated from above. The ‘master’ craftsman possessed sociable expertise, through time, because of specialisation, this was replaced by anti-sociable expertise. This is where the conflict arises, if you know ‘so much’ about something, if you are ‘superior’, your expertise can be anti-sociable, because you may look upon the community from which you are now ‘apart’ as foolish. Sennett looks at the work of Vimla Patel and Guy Groen: they compared brilliant, novice, medical students with experienced doctors. The ‘by the book’, novice, applies the rules rigidly. The more experienced doctors focus on the patients and look beyond immediate cause and effect. The experienced doctor can see further ahead than the novice who knows ‘a lot’. The two sorts of expertise can be in conflict. To paraphrase Sennett: ‘Treating others as whole persons, in time, is one mark of [mastery] sociable expertise.’ The master or sociable expert sees overall purpose, can make, make do and mend as part of a continuum. The master is good at mentoring and advising, reaching out with an open hand to the community of fellows and ‘customers’. Turning outward is the essential part of this sort of expertise. Anti-sociable expertise institutionalises the inequality between the expert and the non-expert. This can lead to the experts feeling contempt for others as they withdraw into themselves becoming a group apart. You then have a profession of those ‘who know’ and the others ‘who don’t’. The non-experts feed on resentment and the institution becomes marked by division. Expertise becomes about showing off knowledge rather than sharing it. It can, when driven by competition, succumb to the need to beat others, often by cutting corners, and by not seeing the ‘whole picture’ due to the drive to see immediate rather than longer term results. In teaching the discussions about the role of professional associations, professional development and ‘what works’ research could do with discussing some of these ideas. Can an organisation encompass expertise that is at once both specialised and sociable? Can we ever recognise the value of experience and realise the Burkean idea of seeing institutional wisdom, exemplified in the tradition and carried out by experienced practitioners, passed down through the generations, as having importance and even value it alongside specialised expertise? I like the idea of associations that grow from the grass roots, formed like the old guilds, that have their rituals and sociability ingrained in their community. I like the idea of experience being honoured as having a different form of expertise than one that is measurable or noticeable in the shorter term. I worry about expertise coming from outside of the profession and possibly passed down on tablets of stone via anti-sociable experts. This is what happened with ASTs, Expert teachers, QCA and the GTCE, a whole raft of expertise drawn from outside of the profession was used via these agents to dictate to the profession. It arguably ‘de-professionalised’ some members of our profession (vocation). A college of teachers needs to be sociable and not built around the anti-sociable concern of teaching. It needs to be drawn from the community it serves, and within that community experience needs to be valued and not derided even if ‘the knowledge’ the expertise holds is seen to be inferior to the knowledge of the experts who ‘know’. I think this is crucial, institutional knowledge in the collective memories of experienced people needs to be harnessed. If an association of teachers tries to bypass the human relationships, for the ‘specialised’ knowledge from outside of the association by experts answering to the Government’s (or even Pearson’s et al) desire to ensure we top the PISA tables, then this is not a sociable guild it is an anti-sociable dance of expertise from outside the association fawning to whatever the current direction of the OECD dictates. In the long term this will be to the detriment of the very people we all desire to have flourishing lives: the children we teach. It is by valuing the teachers’ expertise that we can then help grow that expertise. Outsource that expertise, you lose it and you derail the tradition. How can the researcher be brought into the association? And the consultant, the journalist, the nursery teacher and the university professor? How can we harness and share all this expertise and experience in a sociable way? At the same time how can we ensure an association is not a guild-like secret society protecting its tradition against outside influence? Who is valued, in the hierarchy of the association? To me it needs to be the ‘craftsman’*. The role of the teacher is central, it is her passion and experience that should ‘be’ the community, drawing on knowledge and expertise, from wherever it may come, but knowledge and expertise that she sees as relevant, rather than having this ‘driven’ by outside forces who see an association as a method of controlling teachers in the short term interests of the current whims of government and/or global organisations. *for want of non generic terms – Master/Mistress Craftsman/Craftswoman I am aware I am using ‘masculinised’ terms though ‘mastery’ is not explicitly gendered… I try to counteract this by using she and her within the text. “I worry about expertise coming from outside of the profession and possibly passed down on tablets of stone via anti-sociable experts. This is what happened with ASTs ….” What makes you think ASTs came from the “outside” – the whole point of them was that they were people still in the classroom? I don’t say ASTs came from the outside. I am very aware of how ASTs worked. Thank you Martin. I don’t think education should be a mysterious ‘secret garden’ run by experts. We should be aiming for a ‘sociable’ profession which honours teachers’ skill and experience and which is also accountable to the wider society for its work.